Seems like a fine limited card as 4/4 for 4 that sometimes cantrips. But spending a total of 10 mana for an 8/8 trampler seems meh. I'm hoping for a Simic version of Corpsejack Menace. It seems like it should be Simic anyway. The good news is, she works with riot and oddly enough mentor. In Standard, you're looking at the merfolk from Ixalan helping her. In Commander, Deepglow Skate, Gilder Bairn, or Vorel of the Hull Clade. 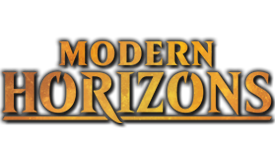 But I agree she won't see Modern or Legacy play. I'm skeptical of any card that does nothing when it enters the battlefield unless it's ridiculously statted like Lyra or Doom Whisperer, but the set hasn't been revealed yet. Maybe it works as a curve topper in a temur aggro deck, but like I said, I'm bearish on this making a constructed splash. A limited slam for sure though. Yes, but this ends the game quickly. Colossus can be blocked forever, so long as your opponent has creatures available. (Which means any token maker or anything with deathtouch or any removal spell answers Colossus.) With this? It's highly doubtful your opponent will be able to consistently produce 8-toughness creatures, or even one 9-toughness creature. Think of reach as better in the opening moves and trample as better in the endgame. I guess the reason I don't see it as constructed playable (multiplayer aside) is that I think plummet and reach is much better than trample. If it always drew a card I could see it. But I think it's in that almost but not quite good enough power level. It might be a fringe card, I think it's unlikely to see play in top decks. She's like Arbor Colossus. Arbor Colossus is above curve; this is on-curve and cantrips (and friendlier to multicolor strategies). When you kick her (or Colossus) it costs a lot of mana (but you can do it on any turn, unlike traditional kicker cards, which is good because 10 mana for an 8/8 or 11 for a 9/9 looks bad), but you only get to do it once. Colossus gets to Plummet, Zegana gains trample. If a Doubling Season variant (presumably just for +1/+1 counters, à la Corpsejack Menace, maybe in GU or just mono-G?) is present in this "block", that becomes an occasional 12/12 trampler as well. Sweet Jesus. 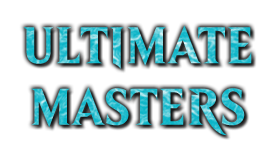 This might be good enough to be my new merfolk commander!!!! Interesting thing though: She's rare instead of mythic. 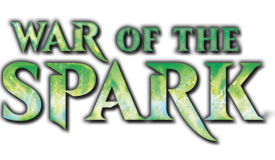 This either means she's not the guild leader anymore or that we're getting a planeswalker for Simic right? Nope. 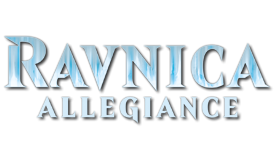 We know Domri is the Gruul Guild Leader, and Dovin is the Azorius Guild Leader (and we already knew Isperia was getting deposed with prejudice, and now we have Lavinia as a "renegade", suggesting that she belongs to a rebel faction of politicians trying to take down Dovin, the further implication being that there are people aware of what's happening in the five Bolas-aligned guilds who are against it), and the most likely other guild is Orzhov. Domri is...a bit naïve, and could easily fall under the sway of a millennia-old dragon who has been conspiring since long before even Azor was born. And the fact that the Gruul are pariahs, and Domri is a pariah among the pariahs, you see where this is going. For Orzhov and Azorius, it's simpler. Pro-Bolas Orzhovniks and Azorii think they can control him (and the right and center parties in Weimar Germany thought the same of Hitler, so, yeah). And quite frankly, if I wanted to control just two guilds in Ravnica to make the whole system collapse, it would be those two. I think Kaya will lead the Orzhov, not Lillana. 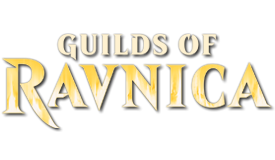 Pretty sure the new Planeswalker Guildleaders are Domri Rade, Dovin Baan, and Liliana for Gruul, Azorius, and Orzhov in that order. 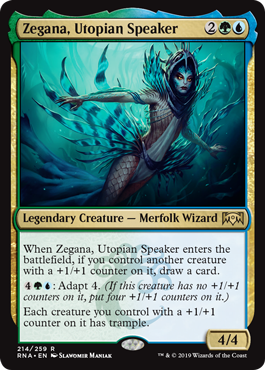 We've already seen an elf with Zegana's trident among booster arts, so I guess there is just some internal Simic change in power. I'm pretty disappointed. It's not that it's a bad card, but it's boring as a commander, and adapt is a boring guild mechanic. unfortunately, It looks like simic is just a +1/+1 jank again.But looks like a good commander. *Antagonism is pretty easy to do with cards. In this case, it's not actually antagonistic with evolve; the two mechanics will never appear on the same card, so I worry less about the "same-card" antagonism there. But graft? It's kind of both antagonistic and synergistic. You don't want to put counters on a creature with adapt (or undying) unless the creature already has +1/+1 counters, but the other half of graft, granting an ability, is doable. Then again, at least since Morningtide, they've used the more elegant design of just giving creatures you control with +1/+1 counters abilities, and they did it again in RTR and KTK blocks. Strangely, this is the fourth iteration of Bramblewood Paragon. I'm actually kind of amazed that they created a +1/+1 counter theme with so much anti-synergy with the previous two +1/+1 counter themes. Maybe they wanted to stress that this isn't your Momir Vig, Simic Visionary's Simic. It's their whole thing. At least Morningtide gave us a cleaner way to do the other half of graft than having to pay for it every turn. Not quite Monstrosity but partial credit for trying. Although a T4 8/8 Trample in Std is great. A similar case to Nicol Bolas, the Ravager, this card is pretty solid from just a 4/4 +1 card ETB, and has further upside. Unfortunately for Zegana, you have to already have a boy with a counter in play, and your opponent responding with a removal spell cuts your cantrip away. You're probably right but for story reasons I looooove the idea of Lili and Teysa helping each other get out of their contracts. 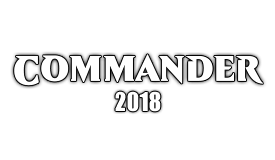 Objectively I know Kaya's gonna lead the Orzhov but I can hope, right?